After 29 games, the Huskies had only one game over the past eight days heading into the Pac-12 tournament Wednesday, and hope the rest pays off with wins in four consecutive days. Speaking to media Tuesday ahead of a potential flurry of four games in four days at the Pac-12 men’s basketball tournament in Las Vegas, an air of calm was felt from head coach Lorenzo Romar and senior captain Andrew Andrews about the team’s readiness for Stanford Wednesday (noon., Pac-12 Networks). The tournament annually is a fresh beast for Pac-12 teams, a ritz-and-glitz quadruple barrage of win-or-go-home games after a grueling three-month journey. Rest and decompression, according to Andrews, is key. There was plenty upon which to reflect, including four players awarded conference honors Tuesday. Andrews, the conference’s leading scorer, was named to the All-Conference first team. Guard Dejounte Murray made the second team in addition to the All-Freshman team. Marquese Chriss and Malik Dime received honorable mentions for the All-Freshman team and All-Defensive team, respectively. The exclusion of Dime, second in the conference in blocked shots with 82, from the All-Defensive team seemed to chagrin Romar, though he didn’t admit it in so many words. Also of note was Andrews’ snub for a third Pac-12 player of the week award, despite scoring 47 points — most by any player in college basketball this season — against Washington State. The honor instead went to Arizona’s Gabe York, who hit the game-winner to cap off a late comeback against Cal Thursday. Now, on the eve of the tournament, rest and reflection will come to a screeching halt. Washington has mountains to climb to make the NCAA tournament, a feat that in Romar’s estimation will necessitate making the tournament’s championship game. Perhaps the snubs will provide motivation, but there will be no easy road. All Romar can do is try to keep his squad fresh. 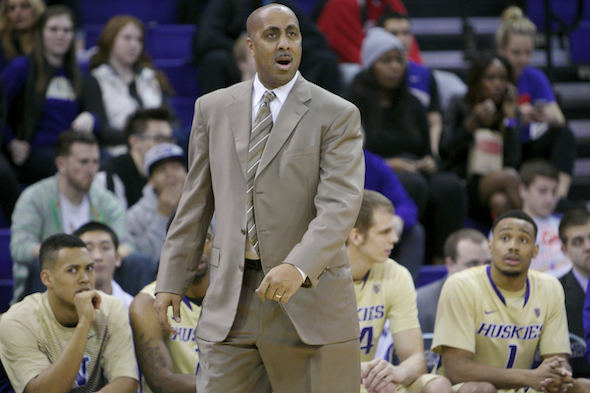 “I think if you look at our teams over the years, a lot of times our teams get better and stronger as the year goes on,” said Romar. “The wins didn’t show it, but I thought that we were pretty fresh down the stretch. At the end of games we were still able to hit shots, we were still able to run. If they can handle one more dunk into the pool of high pressure and scrutiny, they may yet extend their season. Not sure if it’s a good thing or a bad thing going to a neutral site for the conference tourney. If they played at Stanford you can still feed off the crowd energy. In the past the attendance in Vegas has been tepid. I’m guessing if you played it in Palo Alto, whoever was playing Stanford might have an issue as to why Stanford is getting an extra home game. Granted playing it at Staples, Oracle, Moda Center, etc. would be a de facto home game for the home state teams, at least it’s not their literal home court.